This wonderful couple was referred to Blossom Basket by a 2011 bride and groom. 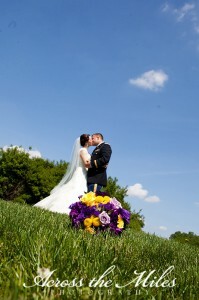 At first Christine was a little hesitant to go all the way with her purple and yellow theme in the florals. When she saw her bouquet the night before the wedding, she told me that she was so happy with the way the colors came together. 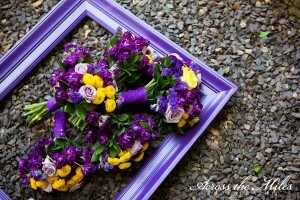 We anchored the bouquets with shades of purple and then incorporated splashes of yellow. 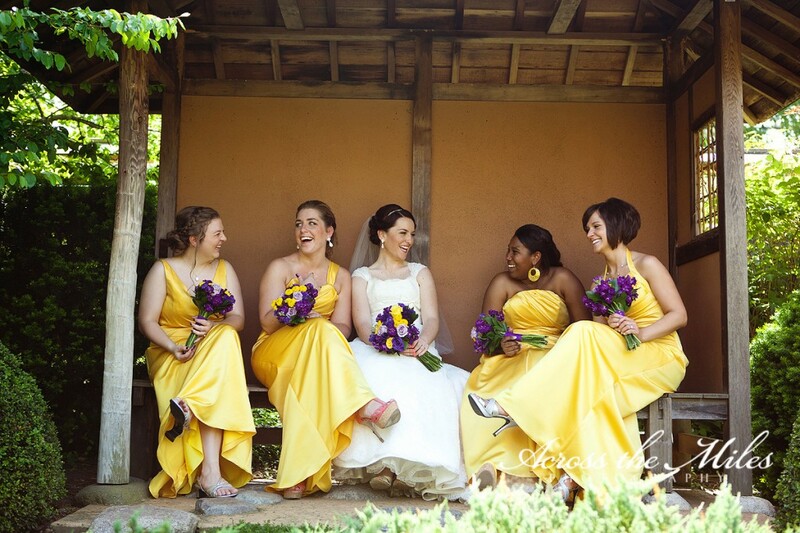 This provided both cohesion and contrast with the bridesmaids’ sunshine yellow dresses. To see more beautiful photos see Across the Miles Photography’s full blog post here. I have worked with Kellie Penn several times now and am always enchanted by her images. Kellie, thank you for sharing them with me and my readers.